Obituary for Wilma P. Sweet | Devlin-Rosmos-Kepp F.H. 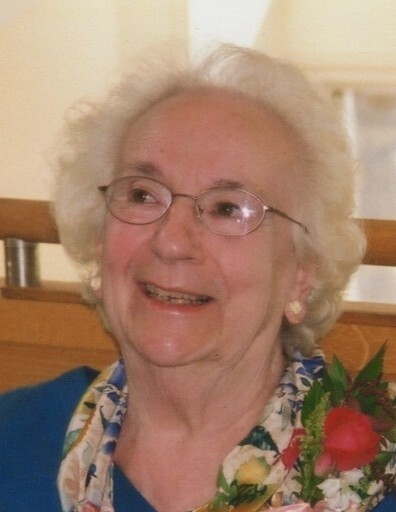 & C. S.
Wilma P. Sweet, 86, wife of the late Victor T. Sweet, of Phoenixville, passed away on Friday evening, February 8, 2019 in Seasons Hospice. She was born in Gilliam, Missouri on April 24, 1932 to the late Rudolph C. and Elizabeth F. (Weber) Pohlman. Wilma worked for the Small Business Administration and prior to that she worked at the Phoenixville Library and Phoenixville Federal Savings & Loan. Wilma's passions included ceramics, sewing, knitting, and gardening. The family would like to extend a special thanks for the professionals and volunteers of Phoenixville Cancer Center and Seasons Hospice for their wonderful compassion and support that enriched her life. She is survived by 6 children: Monica, Evelyn, Suzanne, Tom, Joe, and John; 4 grandchildren: Joseph, Jonathan, Iris, and June. A Funeral Mass will be held in St. Ann Catholic Church, 502 S. Main Street, Phoenixville, PA on Saturday, February 16, 2019 at 11:00 am with burial to follow in St. Ann Cemetery. In lieu of flowers, contributions may be sent to the charity of one's choice.